Courtesy of RealtyONEGroup Mountain Desert. Panoramic views are the main feature of this 1736sf house located on over 3 acres in Walker. Imagine sitting on the deck on a sunny day, enjoying breakfast. A recent remodel has updated the kitchen and bathrooms. While an easy drive puts you above the valley and away from everything, shopping is less than 15 minutes away. Two bedrooms on the first floor with a full bath and a master on the second floor with it’s own bath. If you want a relaxing place to get a way, this is the one for you. Directions: South on Walker Road to Big Bug Mesa Road, about 7 miles. Turn left and go up the hill. After about 2.5 miles, turn left at Herrin Hollow. First gate on the left, right there, is the driveway. Approximate size: 138085.00 sq. ft. 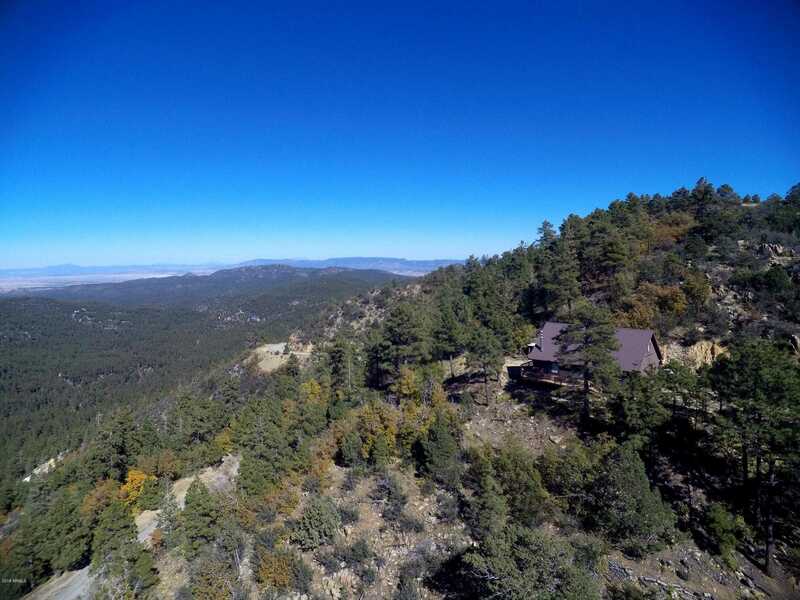 Please, send me more information on this property: MLS# 5839244 – $385,000 – 7251 S Big Bug Mesa Road, Prescott, AZ 86303. I would like to schedule a showing appointment for this property: MLS# 5839244 – $385,000 – 7251 S Big Bug Mesa Road, Prescott, AZ 86303.